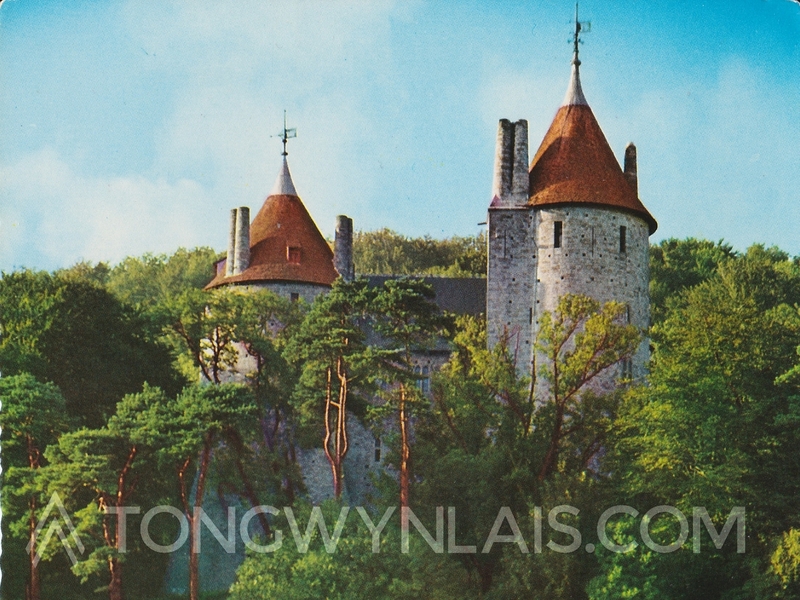 The latest postcard in my series features a unique image of Castell Coch from – what is now – the golf course. This photo was produced by Bamforth & Co Ltd, who were famous for their saucy seaside postcards. I can’t find much information about their traditional postcard production. 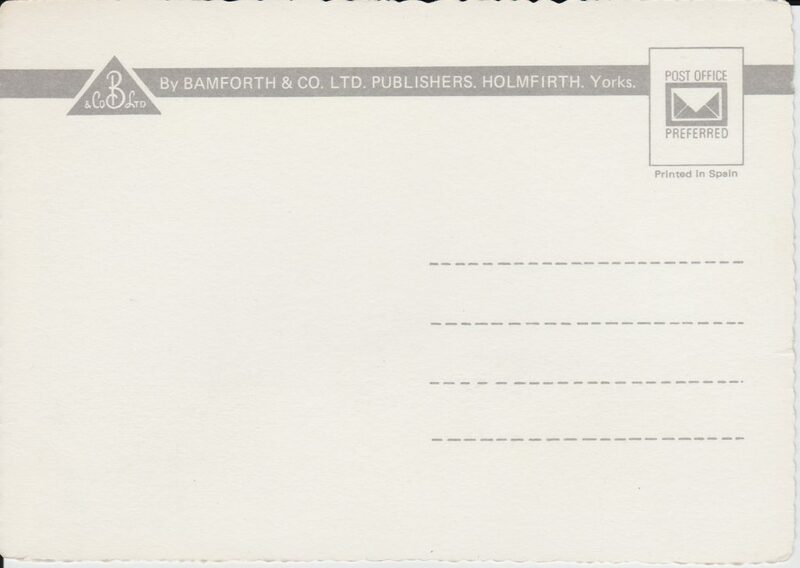 The company was founded in 1870 by James Bamforth and they produced postcards throughout the 20th century. There’s nothing on the reverse to help date the image. Perhaps a reader could suggest a date by the clothes the lady is wearing? Maybe someone even recognises her. 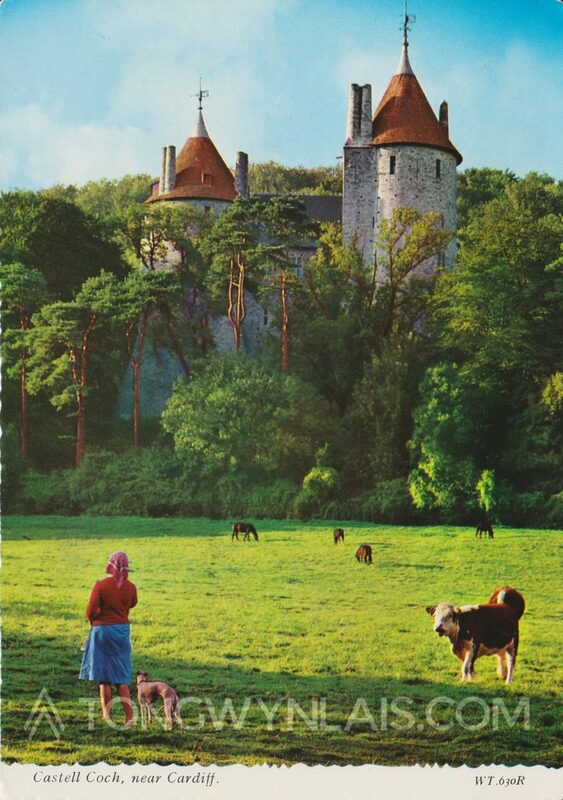 What a great picture, love the colours of the scene and the castle – I have no idea of date, but a wild guess would be either 50’s or 60;s? ?